Montgomery County ESC administrative offices house the Superintendent, Treasurer, Associate Superintendent, Offices of Administration and Operations, Instructional Services, Human Resources, Student Programs and the STEM Center along with their respective support staff members. This facility also includes several conference rooms that are frequently used for county-wide and regional workshops and meetings for school leaders throughout the area. 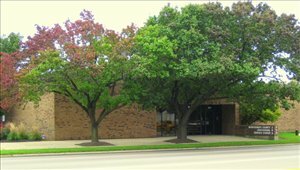 The administrative offices of the Montgomery County ESC are located at 200 S. Keowee Street in Dayton, OH. M - F: 7:30 a.m. to 4:00 p.m.